Dear friends we must know about the certificate attestation. Millions of Indians working in the abroad, there may be requirement for the attestation at any time. We must aware about the term certificate attestation. There are many conditions in which attestation is required. Attestation is the compulsory. The major condition is that when a candidate received an opportunity to work in abroad his/her documents need to attest from government department before going the country. Suppose you got offer letter from Dubai and is very excited to work in the country. Your documents must be attested from the U.A.E embassy. Embassy is the final point of the attestation. Need of certificate attestation arises when the documents of a country is intended to be used in the different country. Certificate attestation states that particular documents are genuine and issued from the respective state of as country. Certificate attestation could be Notary, home department, Ministry of external affairs, Apostille , HRD and Embassy attestation. Documents have undergo some other attestation such as notary Mantralaya, home department, ministry of external affairs before submitting in the respective embassy. Each attestation depends upon the country in which they are going to be used. Apostille is required in case of documents are to used in the member country of Hague convention. Hague convention was a treaty of the countries for making some rule and regulation for the attestation of the documents. It is an sticker consisting the seal and signature of the designated authority. Certificate attestation could be a time consuming and complicated one if you are not aware about the procedure. There are certain agents sitting in the market, but it may be a wrong step to hand over the documents to the fake agency. Genius attestation is an ISO certified company in the world headquartered in UAE providing service of attestation for more than ten years. It provides attestation on both educational and non educational documents. Genius attestation is unique among all attestation agency because it provides online tracking facility to its client. Client can check the status of his/her documents online at any time in anywhere by inserting the track number provided at the time of submission of the documents. There is no third party or middle man, direct submission in the embassy. It’s staff are well qualified providing the proper assistance to the client in the attestation. You need not to think about the Genius attestation, go and submit the documents. I hope it will help……. 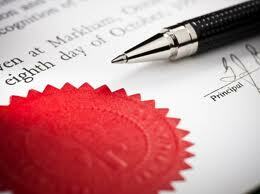 Attestation is required when public documents need to produce in the different country. Attestation could be Notary, home department, HRD, Apostille and embassy attestation. All these attestation depend upon the country in which the documents are going to be used. Kuwait attestation is compulsory in several conditions like to get family visa, to get promotion in the job, to get admission and for marriage. There are large number of people opt for the work in Kuwait. Kuwait provides the employment in technical and similar fields. If a candidate receives an opportunity to work in the Kuwait. Then the Kuwait official ask about the attestation. Now his/her documents need to get attest from some government department. HRD only attests educational documents. In some state it is known as the General Administration Department (GAD). After getting the HRD attestation submit the documents into the ministry of external affairs New Delhi. Then documents will submitted in the Embassy and embassy is considered as the final point of attestation. The Attestation for Saudi is time consuming process and will take more time as compared to the other countries. Candidate must follow the rule and regulations for the attestation. suppose a candidate received an offer letter to work in the kingdom. Then his/her documents should get attest from the Royal Embassy of Saudi Arabia. Embassy asks about some supporting documents fro the attestation. 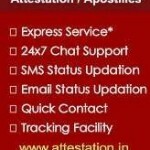 Attestation will not possible in the absence of supporting. Now the candidate should search the experienced firm for attestation since hand over the documents to any one may create problem. Genius attestation Services is an ISO certified company in the world having head quartered in the UAE. It has more than ten years experience. Its tracking system makes it unique. Client can search his/her status online any time by tracking number. Qualified staff makes the environment more professional. Feel free to reach out to us if you have any question around the same. Our sales representative is looking forward to hear from you. For more info visit us at www.attestations.in or call us at 9555555325. Andhra Pradesh is a state of India having beautiful city Hyderabad as its capital. The Hyderabad city is headed by Mayor who has much administrative power. The state authority for attestation in Andhra Pradesh is General Administration Department (GAD) Hyderabad. For educational opportunities concerned Hyderabad is important city in India. It has two central universities; two deemed universities and six state universities. The Osmania University is the reputed university in Hyderabad. These universities award the various certificates and degree to the students. These certificates could be engineering (civil, mechanical, electrical and computer), diplomas, regular degrees and trade certificates etc. Genius Group Global provides the attestation for all kinds of certificates and all university certificate attestation Hyderabad. There are various conditions in which attestations require. If you are planning to move to the foreign country, for applying family visa, emigration, for marriage, for promotion in job and for opening offices etc. If you are moving to the country which is a part of the Hague Convention then your documents require only Apostille not embassy attestation. Document has to undergo some other attestations like Human Resource Development (HRD), General Administration Department (GAD) Before Apostille. In Some State HRD is known as GAD. The Government distributed these functions to some other department and they do the attestation. The procedure of attestation varies from country to country. The procedure of Saudi Embassy attestation is different from the other embassies. HRD authentication is mandatory for Saudi. HRD department only attests educational documents. It is a stamp and signature by the designated authority from the state where the documents issued. A verification letter should be issued from the university on university letter head stating that the certificates is genuine and is of the right candidates before submitting in the embassy. All original documents need attestation or Apostille should be first authenticated by the designated authorities of the State from where the document has been issued. The Ministry of External Affairs legalizes the documents on the basis of the signature of the designated authorities of the State. Home/General Administration of the Department concerned state is the authorities in the case of personal documents. In case of educational documents, the documents should first authenticated by the Education Department of the concerned state. All original certificates viz. SSC/Intermediate/Degree/Diploma including Engineering, Medical/Nursing/Pharmacy etc. issued from the Boards/Universities/Councils/Institutions. Mark sheet are not authenticated. Only final qualification is authenticated. In case of students going abroad for higher studies, Mark sheet can be authenticated with proof getting admission in the particular institutions. In case of Doctors/Nurses/Pharmacists etc. it is necessary to submit photocopy of the registration certificate. Birth/death certificate, marriage/divorce certificate and legal heir certificate etc. issued by competent authorities. Affidavit/power of attorney duly attested notary and magistrate. Genius Attestation Services an ISO 9001:2008 certified company in the world head quartered in UAE, providing all kind of attestation services. Genius provides fast and reliable services to their client with tracking facility which enables customer to show his/her status in the website. There is no middle man, direct submission in the embassy. Genius Attestation having well qualified staff for assisting their client in the proper way. For more information click on www.attestationcertificate.in or call us on 9555555365. Mumbai is the Financial and Commercial capital of India, and the headquarters of many of India’s premier financial institutions are located in the city. Most common law systems have what is called in the United States a notary public, a public official who notarizes legal documents and who can also administer and take oaths and affirmations, among other tasks. In the United States, a Signing agent, also known as a Loan Signing Agent, is a Notary Public who specializes in notarizing mortgage/real estate documents. Although notaries public are public officials, they are not paid by the government; they may obtain income by charging fees, provide free services in connection with other employment (for example, bank employees), or may provide free services for the public good. If searching for a government firm which can provide the assistance at each and every step it is just a click away. “Genius Attestation Services” an ISO 9001:2008 provide the assistance and services of attestation.Genius Attestation Services having headquarter in UAE and its branches spread all over India. Guardian of holy place Saudi Arabia is one of the beautiful country in the world.The dream places Mecca & Medina are situated in Saudi Arabia. Every year million of people receive the gift from “Allaha” to go for Hajj.The strength of the KSA is oil & construction companies,people have done Degree/Diploma in relevant field can join them. Opportunities are waiting for professional like engineers, doctors, nurses, computer programmer etc. in Kingdom of Saudi Arabia. Who completed their degree/diploma can be a part of it . There is a huge population of expatriate Indians in Saudi Arabia, numbering over 1,500,000 as of the year 2000. Indians constitute at least 7% of the country’s population. In 2013 they are about 2,450,000.The above mentioned Indian people already working in the Saudi Arabia and many people are thinking to go the beauty of gulf country i.e. Saudi Arabia. Professionals like Nurses, Engineers and Doctors etc can make their future bright by become a part of the Kingdom of Saudi Arabia. To make their dream true one should go through some formalities i.e. Attestation/legalization of documents. HRD from the concerned state. Verification of the degree/diploma certificate from university. MEA (Ministry of External Affairs) from Delhi. Saudi Embassy Attestation from Delhi. Genius Group brand name in the attestation industry having 10+ experiences in the field of attestation.We attest all kinds documents i.e. Educational and Non educational anywhere in India without your presence. Original documents i.e. Degree/diploma certificate. Passport copy front and last page. Job offer latter and agreement between the employee and employer authenticated by Ministry of Commerce Chambers and MFA. Salary & designation should be mention on the letter. It should not be less than six month old. Iqama copy if already working in Saudi Arabia. The Bachelor of Engineering (commonly abbreviated as B Eng or BE) is an undergraduate academic degree awarded to a student after three to five years of studying engineering at university or college. The nature of the qualification varies around the world, hence it may or may not be a professional degree and it may or may not involve undertaking some engineering work. The course may or may not be accredited by a national professional society. Kingdom of Saudi Arabia is a beautiful holy place . Everyone wants to visit once in his/her life. KSA is not only a holy place but also a huge opportunity place for all professionals like Engineers,Doctors, Nurses etc. Construction work needs talented professionals to make it good and strong. Saudi Arab being a place of construction work, and hire talented engineers from all over world. Anyone who got an opportunity to become a part of KSA their documents have to be attested / legalized from the government Authorities. Attestation/legalization consists of various processes and documents have to undergo the same. Need for attestation arises in many conditions i.e. applying for work visa,applying for family visa,to get married in abroad,for promotion, migration etc. Genius Attestation Services is the only place where you can get your documents attested/legalized in short period of time and affordable cost. Genius Attestation provide the best & reliable services of attestation for both Educational & Non Educational Certificates. Educational certificate could be Degree/diploma,Mark sheet,Provisional letter etc. Non Educational could be Experience letter, Marriage certificate, birth certificate etc. Why Genius Attestation Services ??? 24/7 online / offline support.